The most minimalistic hiking backpack in Deuter's collection, the Speed Lite 22 SL excels in its extreme lightness and puristic design, providing maximum carrying comfort and outstanding ventilation for athletic tours and alpine adventures in challenging terrain. The Lite Air Backsystem is streamlined, breathable, and high-performing, with its flexible and tensioned Delrin U-frame and airy 3D mesh minimizing perspiration and maximizing trail endurance. This hiking pack delivers everything you need and nothing you don't: concealable shoulder harness and hip belt, side compression straps for regulating pack volume, accessory loops for gear attachment, easy finger pull loops on zippers, stretch side water bottle pockets, and hydration system compatibility. The Speed Lites keep backcountry safety in mind with a built-in loop for a safety light, 3M reflectors, and a just-in-case SOS label providing life-saving tips. In its sleek and intelligent design, the Speed Lite 22 SL will over-perform on any elite adventure with such grace and ergonomics that you'll hardly notice it's there. 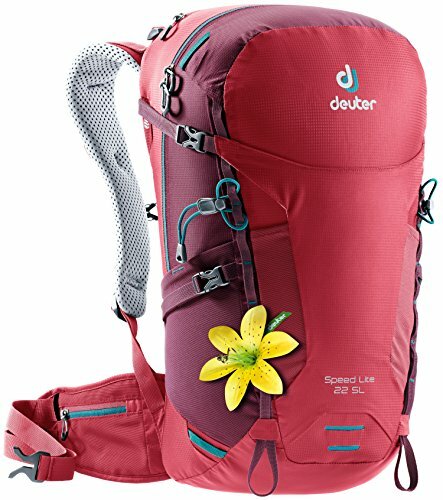 If you have any questions about this product by Deuter, contact us by completing and submitting the form below. If you are looking for a specif part number, please include it with your message.